Home Instead Senior Care, Ireland’s leading home care provider, has invested in a new recruitment campaign that uses traditional “matchmaking” skills to help create a compatible and lasting relationship between the professional CAREGiver and the person they care for. By actively trying to match their clients with professional CAREGivers who have similar interests and hobbies, the organisation is creating a more personal, and relationship-based home care service where the focus is placed more on the individual rather than the basic home care tasks. With networking, PR, web and advertising efforts supporting the recruitment campaign, it is expected that a total of 250 CAREGiver roles will be filled throughout the country. 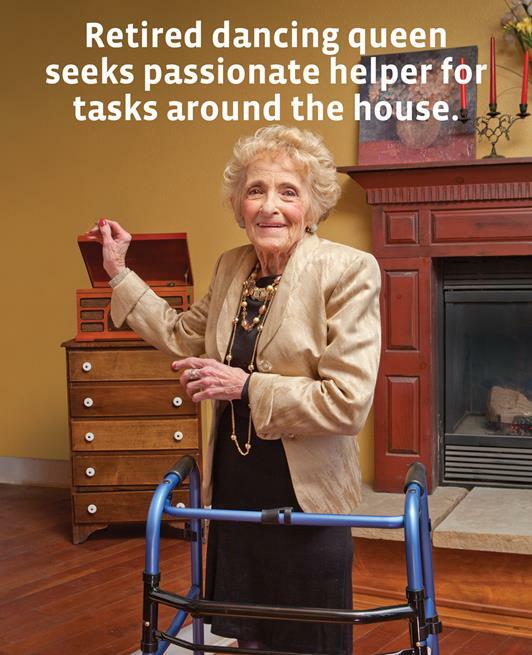 Home Instead Senior Care employs 2,500 Professional CAREGivers and cares for 3,000 people annually. Home Instead Senior Care will hold a recruitment open day in each of our 21 local home care offices to educate local CAREGivers about the company and the available roles. All Home Instead CAREGivers are employed directly by the local offices and go through a stringent recruitment process which includes interviews, reference checks, Garda vetting and a comprehensive induction training programme.